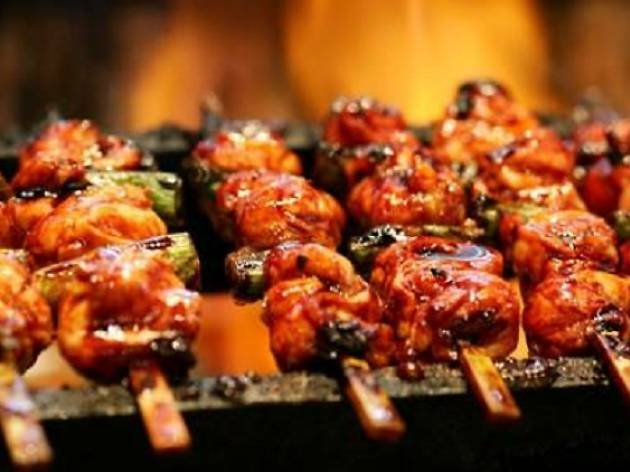 Specialising in yakitoris, or grilled meat on skewers, The Burning Oak is a recent addition to Simpang Bedok. 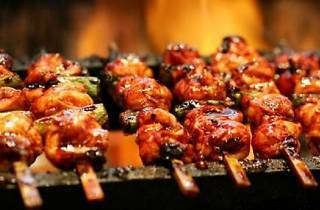 Classic skewers such as the Negima (chicken thigh with leeks, $2) and pork shoulder ($2), are claimed to be grilled using Japanese binchotan coals to cook their meats. They also offer specialties such as the curry risotto croquettes ($6.50), Wagyu beef rump cap MBS5 ($12) and Iberico pork cheeks ($12), as well as a rotational menu of premium skewers such as the slow-cooked pork belly ($6) and Wagyu beef short ribs ($6). The Burning Oak also offers lunch options with their bentos sets ($8-$12).